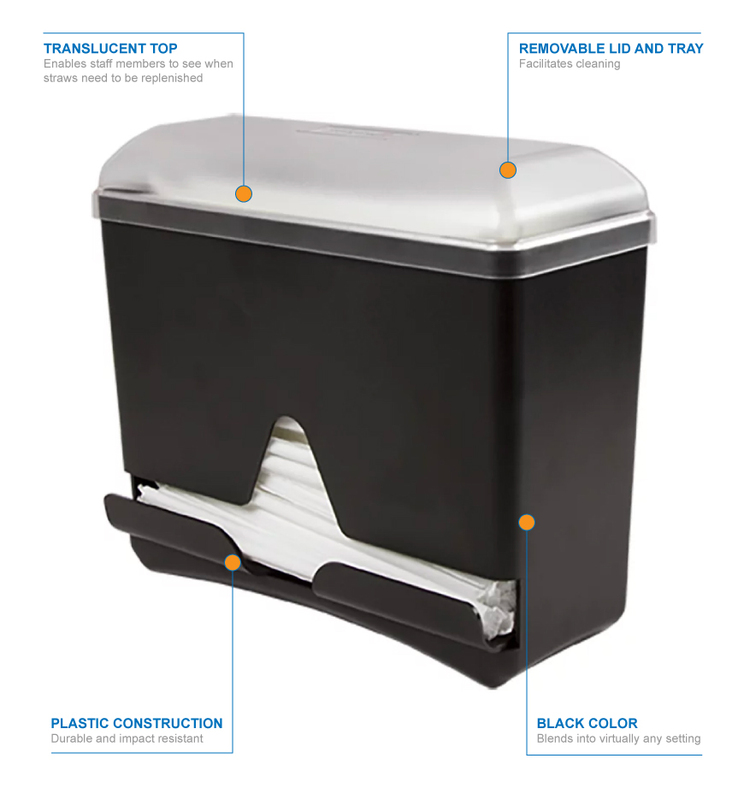 The San Jamar ST250 straw dispenser holds as many as 250 wrapped straws. 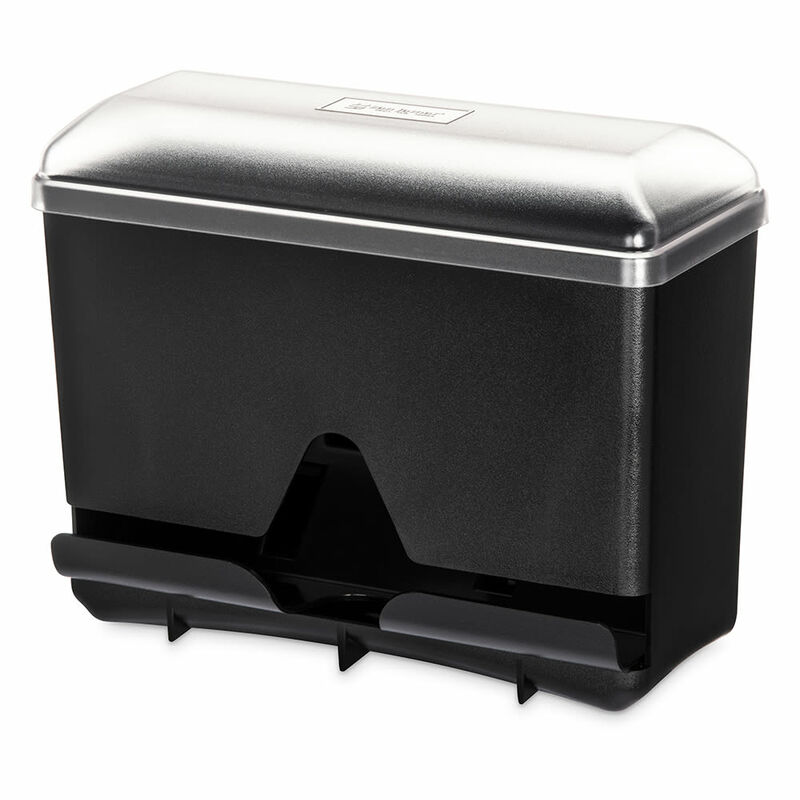 With its high-impact plastic construction, the dispenser is durable for heavy use, and since the top is translucent, staff members can see when straws need to be replenished. 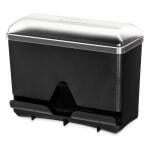 Both the top and tray can be removed for cleaning, and the unit comes in black.